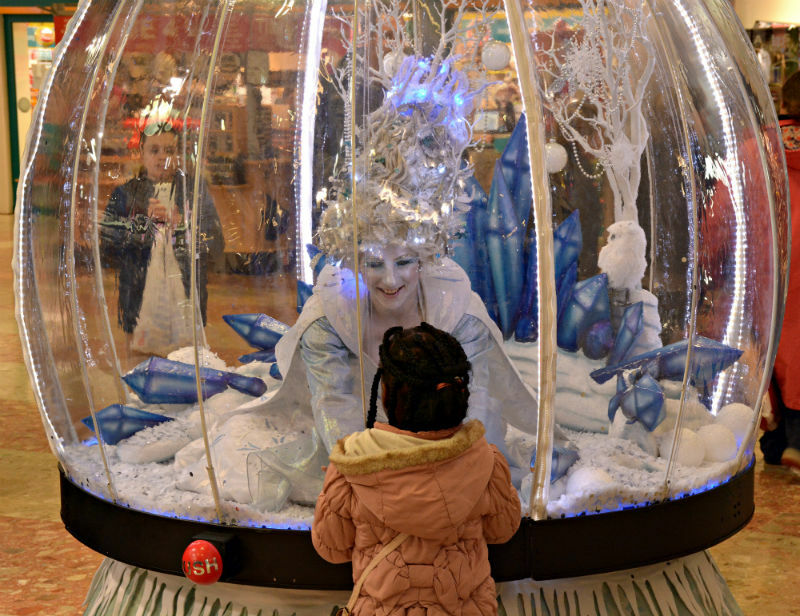 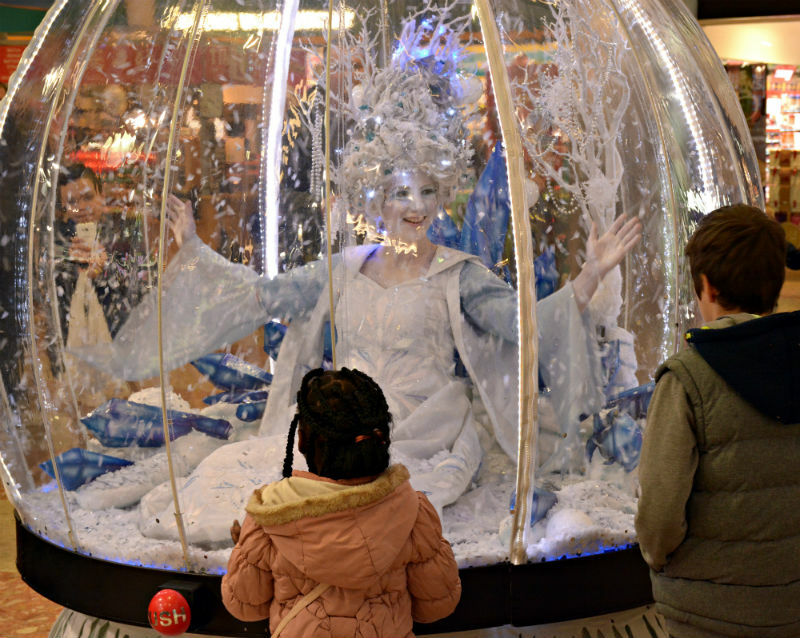 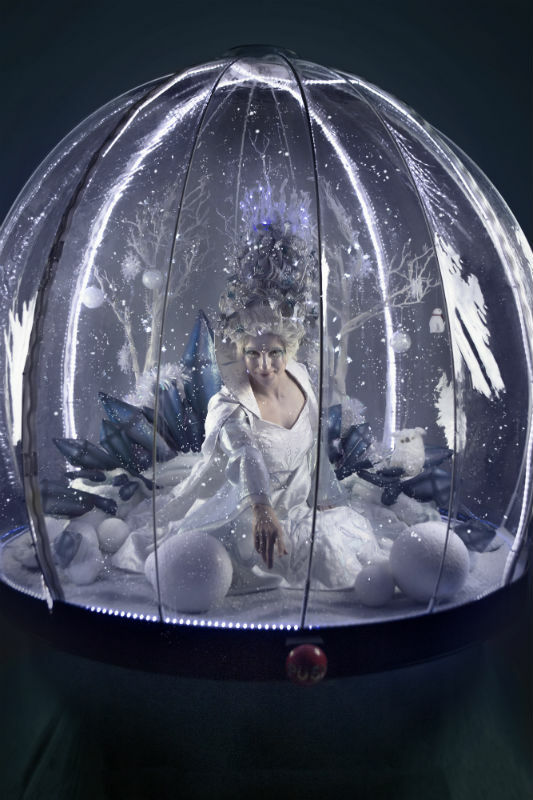 The Snow Queen in her snow globe is an ethereal and magical act; she will mesmerise guests of all ages. 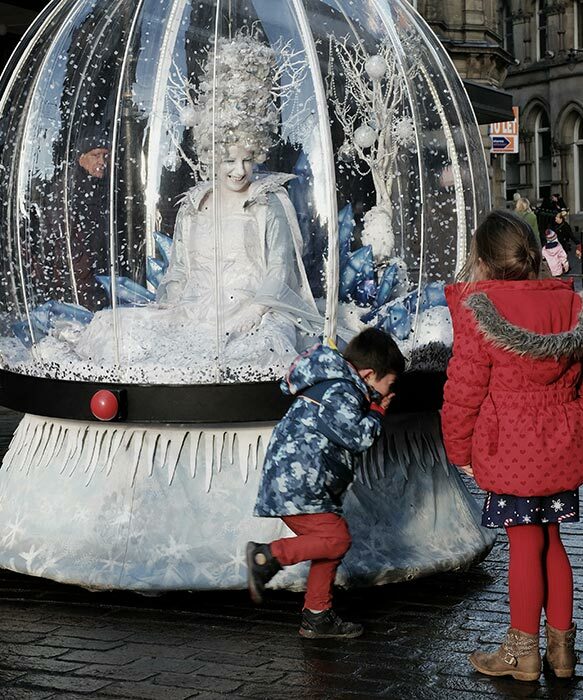 Perfect for winter events and a sparkling presence in any venue, she will be a wonderful memory for everyone. 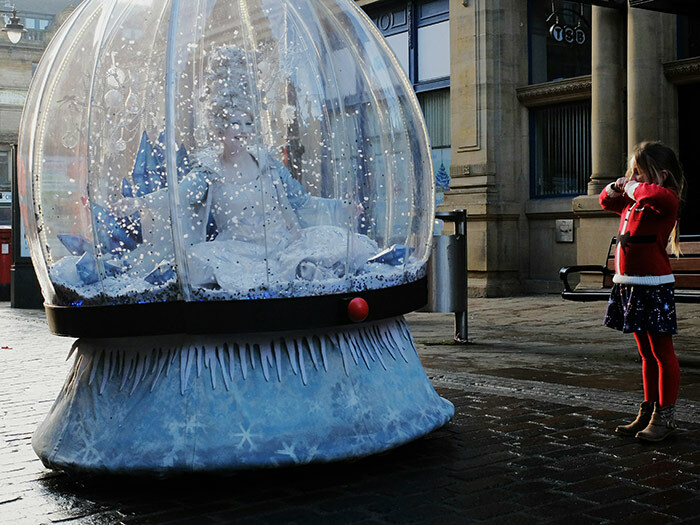 A simple press of the big, beckoning red button by any curious spectator will fill the globe with a spectacular blizzard of snow. 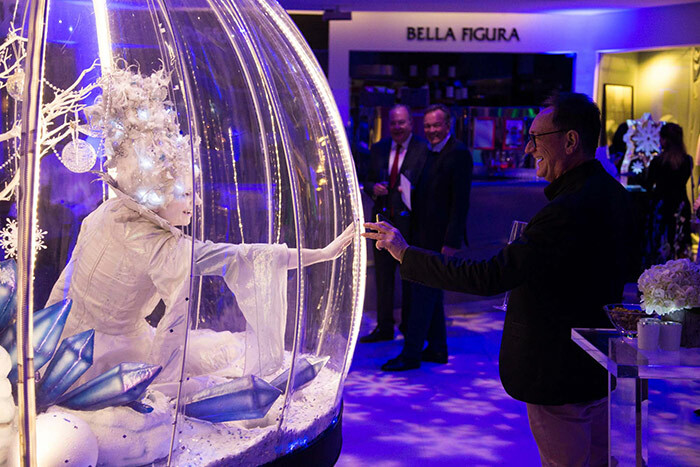 This is an amazing interactive experience that will capture the magical Christmas spirit and works as fabulous, immersive entertainment for all manner of parties or corporate events. 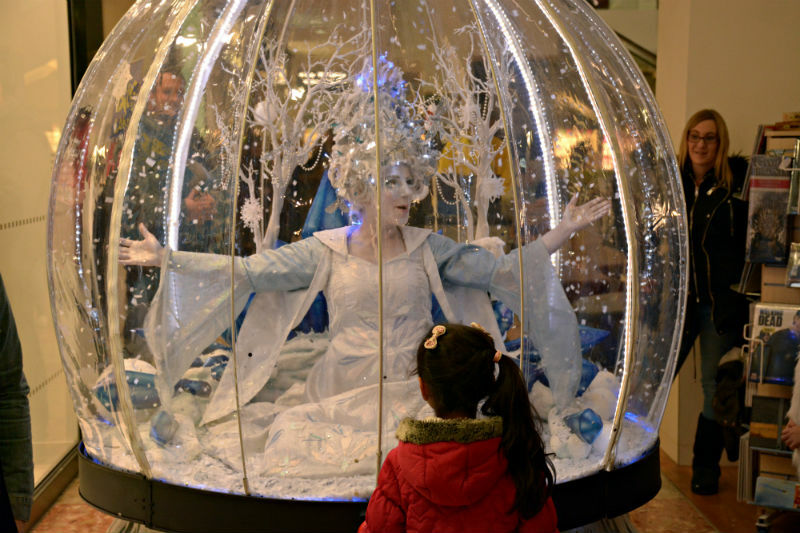 In addition there is also beautiful music to fill the globe and lights to illuminate the Snow Queen inside as the snow rains down on her. 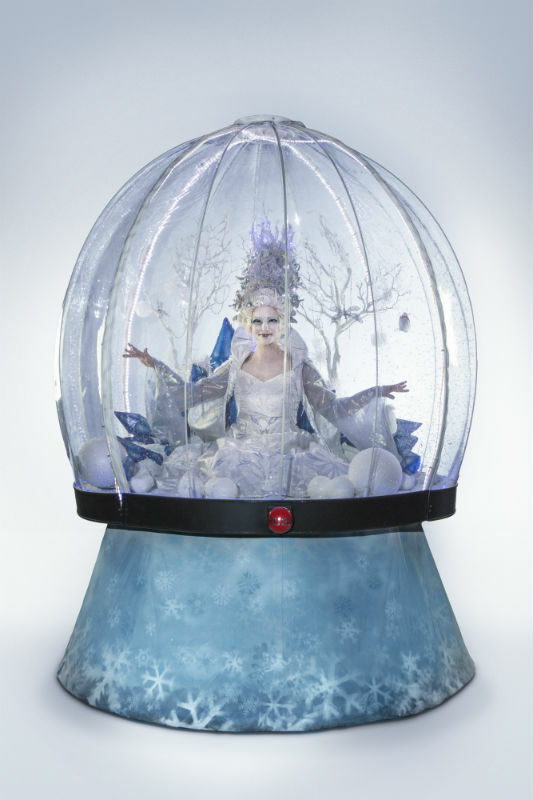 An attractive and fun act, this unique snow globe will draw everyone to it and be an extraordinary feature that will charm and bewitch the guests. 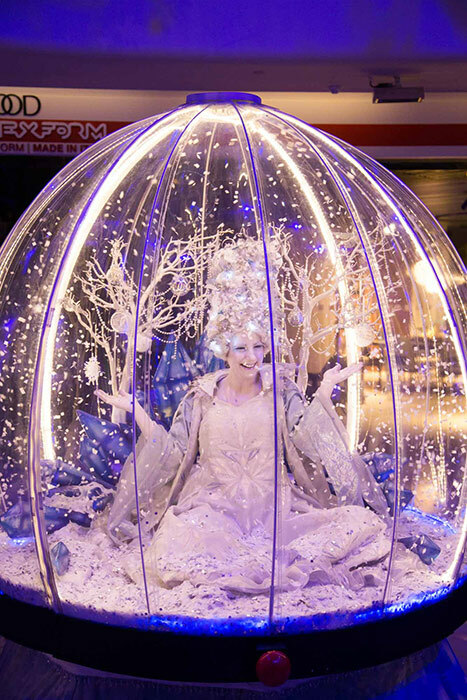 Cardiff City Christmas light switch on.